Agile Fleet is proud to be a rapidly growing technology company with an outstanding track record of employee longevity and dedication. Our corporate philosophy is designed to nurture high-performing talent by combining flexibility along with technical and organizational challenges on a daily basis. The Agile Fleet Team comprises a diverse group of individuals with differing backgrounds, talents, and perspectives. Our success over the years is a direct reflection of having a cohesive team that works together with laser focus on the success of our clients. Agile Fleet leadership strives to always keep lines of communication open to ensure opinions are heard and empower our workforce in a way that enables every employee to succeed. Employee engagement is a key focus of the Agile Fleet management team. We also believe that giving back to the communities around us makes us a stronger team. We do so in our annual “Agile Fleet Gives Back” campaign in which we contribute to worthy organizations. Past efforts include activities such as volunteering at a Habitat for Humanity build projects, donating funds to support the Wounded Warrior Project, providing needed supplies to The Fisher House Veteran’s Affairs Hospital Home-Away-From-Home facilities, and through frequent donations to local blood banks. Agile Fleet offers workplace flexibility that includes a business casual dress code as well as 401K with generous employer match. In addition, employees are offered health, dental, vision insurance with a significant portion covered by the company along with a 100% covered life insurance benefit. We offer paid vacation and observe all major holidays, and host frequent "logo lunch" celebrations as we welcome new clients into the Agile Fleet family. We are conveniently located near Dulles Airport in Chantilly, Virginia. If you don't see a job opening that applies to you but still feel you have the skills and personality to be a successful member of our team, we want to hear from you. Please feel free to forward your resume with a cover letter, sharing a little bit about your personality and explaining how you think you could contribute to the Agile Fleet team, and email it to us at esmith@agilefleet.com. Application Instructions: To apply, please read entire job description and provide a cover letter and resume with the subject line "Technical Support Specialist" to vbayliss@agilefleet.com. Your cover letter should tell us why you are great at what you do, why you'd be the perfect match for this position, and affirm that you are able to work on site at our Chantilly location. We value the capability to follow directions, so candidates who follow these simple application instructions carefully and completely are most likely to be invited to move forward in the interview process. Responsibilities: We invite you to join a high-performance, customer-focused team of Technical Support representatives with Agile Fleet. Some background about our company: Agile Fleet has grown to prominence in the fleet market space by focusing on optimizing the use of fleet vehicles and fleet staff. Our clients share and manage more than 25,000 vehicles using our FleetCommander software and hardware solution every day. Despite our successes over the years, our staff continuously works to enhance our product offering to further increase its value to our clients. The needs of our fleet manager clients are always paramount in everything we do, especially on our Technical Support team. Application Instructions: To apply, please read entire job description and provide a cover letter and resume to esmith@agilefleet.com with the subject line "Software Solutions Consultative Sales Team." Your cover letter should tell us why you are great at what you do, your philosophy about sales, and a bit about your personality. We value the capability to follow directions, so candidates who follow these simple application instructions carefully and completely are most likely to be invited to move forward in the interview process. Responsibilities: We invite you to join a high-performance, client-focused team of Consultative Sales representatives with Agile Fleet. 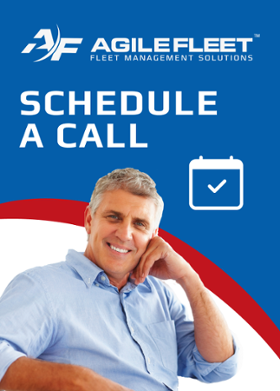 Whether you are a veteran to fleet and motor pool management or new to the fleet industry, we are interested in you. Our sales team takes the time to learn the right questions to ask potential clients to steer them on the right path. And even if our solution isn’t right for them, our sales team will be honest about that -- and make recommendations. Our goal is to continue to build a sales team that is made up of subject matter experts that offer help and advice--tailored to meet the challenges our clients are facing. Sales team salaries are commensurate with experience, including revenue-based commissions. Gain an understanding of the fleet market space. That is, we need you to understand the challenges faced in the different fleet environments so that you can communicate how our product will benefit our customers. Experience with CRM systems (preferably Salesforce.com), CPQ or other quoting software, PowerPoint, GoToMeeting, Webex, etc.